Teixidors is one of those special brands with a message that parallels the beauty of its product. Before uprooting their lives and starting Teixidors in 1983, Juan Ruiz was working as a technical engineer in the textiles industry and Marta Ribas was a social worker specializing in psychology. They decided to embody their philosophies and moved to a workshop right outside of Barcelona. The couple then began from scratch–building the wooden looms themselves and self-learning the traditional weaving process. At its foundation, the brand seeks to employ and empower people with learning disabilities. They discovered that the traditional technique of weaving with a wooden loom is a therapeutic process, as it exercises the psychomotor coordination and activates mental concentration. Today Teixidors employs 30 people with learning disabilities along with a support staff. 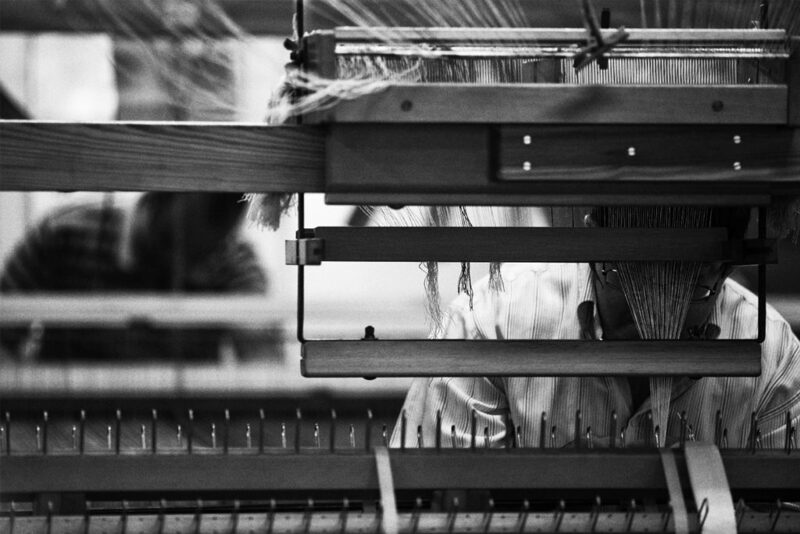 Each weaver is trained for five years and then awarded with a certificate as an artisan. Juan and Marta show that sustainability is not just about having a positive environmental impact, but a social one as well. By creating a positive working and learning environment for their employees, Teixidors is more than just a workplace. It’s an opportunity that enables those who might not otherwise have it, with social integration and economic independence. As for the quality of their products, Teixidors surpasses expectations in their tasteful designs and coveted materials. 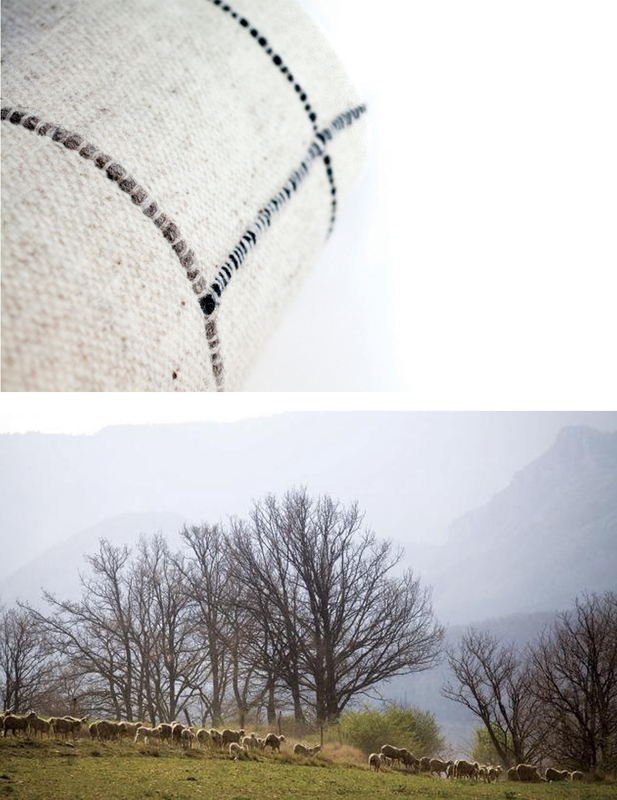 The ecological collection exclusively uses Macomerinos Wool, a natural, handwoven material. It is luxuriously soft and has 100% traceability “from the birth of the sheep to the commercialization of the piece.” The throw’s color is due to the organic color of the wool. The ecological collection uses natural dyes for their statement appliqué cords, giving the pieces textural intrigue and unique composition. 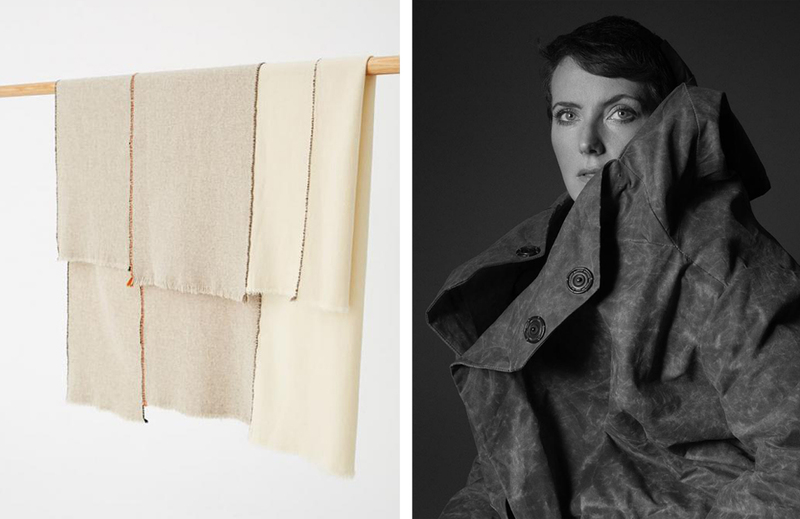 Teixidors and Faye Toogood collaborated to design an ecological throw that is described as a “domestic anthology of fabric textures.” The panels in the blanket are all of slightly different proportion and hue—achieved through the natural coloring of the 100% merino and yak wool and eco-friendly dyeing. This blanket is a thoughtfully crafted work of art, with its variety of discrete textures and eye-catching composition through proportion, density, and appliquéd elements.